. no bake almond fudge protein bars . - . running with spoons . « . link love 8/25 . I made the almond fudge bars, which are delicious, but I think nutritional content should be included to classify your recipes as “clean eating” protein, sugar, calories, etc., I don’t think the reader should have to figure it out. There are lots of websites that do include nutritional content. Thanks for your input, Cheryl. I actually include nutritional info in all my new recipes and I’m in the process of adding it to my old ones. In mine I added an additional scoop of protein powder, 1/4 c raisins, 2tbs amaranth, 2tbs ground chia seeds, 1/4c almond slivers, 1/4c macadamia milk and the total calories for 12 bars (about 3tbs) was 150. Those look so fabulous! 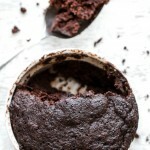 I tend to always love cutting little corners off here and then and nibbling away on any tasty baked treat! Before I know it, I keep cutting more and more bites off and in no time I’ve consumed so much! But freshly baked/homemade goods are the best and I can’t resist! And for me, added chocolate is never optional ! Drooling. These actually look amazingggg. PINNED for must making! Oh yes, I play the sliver game all the time! Have to even everything up and you can’t let it go to waste! I love thick dense sweets. I feel like most of the time the lighter textures don’t really satisfy me. Saw these on instagram yesterday and I literally started salivating! You basically came up with a recipe which combines are my favourite foods. You are incredible! They’re all my favourite things too. In fact, I’m pretty sure I could easily survive on almond butter, oats, honey, chocolate, and Greek yogurt and never complain. It’s all about the nibbles and uneven edges when baking. In fact, I’d have to say I consider it a fail when there aren’t any of those. Then it’s all about making them up ;). 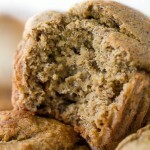 Almond butter anything is great but these sound particularly delish! Mmmm these look SO good and so professional, my friend! 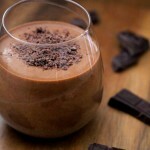 I think I will be making these this week as I have some protein powder I want to use up. I’m going to have to use chocolate protein powder as that’s all I have at home…nothing a bit of extra vanilla essence can’t fix! Do you think replacing the cereal with equal amounts of oat flour will be fine? If not, I’ll go get buy some cereal. It’s been a while since I baked so I’m looking forward to getting back into it. And I’m definitely with you about uneven ends and crumbs- take one for the team and eat enough to make sure the dimensions are sorted out ;)! Mmm the cereal is more for added crunch and texture than anything else, so if you wanted to omit it, I’d add some extra oats (not flour) instead. I was considering replacing the cereal with chopped walnuts. Oh wowwww! These look too good! Definitely getting added to my list of things to make! PS > What camera and lens do you use? I don’t like to eat a lot of protein powder either, but I still have a big tub of it leftover from back in the day that I’ve been trying to use up, and I find that as long as I’m not using it to make smoothies or adding it to everything, then a small amount in baked/unbaked goods is alright. But if you wanted to omit it, you could probably just add more flour. I wouldn’t suggest eggs because it would make the dough too wet, and you would probably have to bake it. As for my camera, I have a Canon EOS7D and alternate between a 50mm and 18-135mm lens. True! Raw eggs are not really a good thing to eat. Ah! I love the 50mm lens. I honestly feel complete with it. You are right…These look pretty much AMAZING! And the fact that they are no bake? Um, yes please! 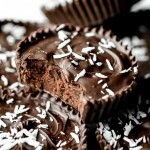 Okay, I HAVE to make these ASAP…yummy! Thanks for sharing this! AWESOME protein bar recipe! I prefer a smoother, denser texture, for sure. These sound great! So few homemade energy bars don’t require a food processor (which I don’t have), so I’m definitely giving these a shot! What kind of protein powder did you use? mmmmm mmmm MMMM these babies look GOOD!! I go either way with the texture thing. Sometimes I just want something smooth and easy to toss down my throat, while other times it’s all about the crunch or bite to a bar! Oh my gosh, I’m SO excited for these bars. First, I love that they’re no bake. And second – um all the almond butter!! And honey, and chocolate chips. These bars look AMAHZING! So love them! Thank you so much for sharing! Oh YUM. I love that these are so simple and quick to make. My kinda snack! I love anything fudgy and nut buttery too 🙂 Thanks for the recipe! These look delicious! 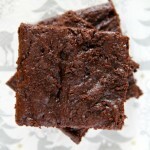 I am a former protein bar addict but now I much prefer to make them myself! I will definitely try these out! Oh man, you sure know how to treat a Monday right, those look delish! I am 100% on the Uneven edges, broken pieces, & crumbs train…they taste much better than an entire piece, am I right?!? Happy Monday! When it comes to snack bars, I prefer all textures. I just love ’em, especially when chocolate is involved. I am all about the nibbles, slivers, and chocolate picked off the top. Yeah, I’m that person. Oh my goodness…. these sound amazing and I don’t use that word lightly!! I’m pretty sure my kids and I would LOVE these. I’m thinking this weekend for a celebration treat of making it a full week back to school. Ummmm these look amazing! I may have to save this recipe to make.. like, tonight. Thanks for sharing girl. I love this recipe! Healthy dessert with extra protein? Win. I like the sound if a dense bar that melts in your mouth, yum! Woo! Your cinnamon scones are still on my to-bake list. I can definitely see them happening soon, especially since the weather is starting to cool down. SWOOONN I love this so much because I can make these and they are dairy free if I use rice protein!! They look soooo dang good. I would have wanted to eat them all for sure before snapping pics, but I also find that when I get decent pictures my food tastes so much better because I can look at pictures while eating. OK I am bizarre..SEND SOME MY WAY PLEASEEE! Uuuuhm,Amanda? – You. are. so. mean. I want these now. Like,really. Really. Really bad. Whenever I did food photography in high school, I know the hardest thing for me to resist was the decorative additions to the photos. 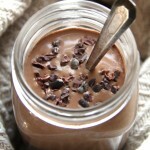 The extra chocolate chips in your pictures? Those were my WEAKNESS. I used to have to keep replacing my decorative pieces LOL. These look really good! I just got a jar of almond butter and I’m not debating on whether I want to make banana bread or these bars right now. AHH. Decisions, decisions! But why make decisions when you can have both 😉 I’m pretty sure you just made everyone’s Monday a LITTLE bit brighter! Happy Monday (from someone who actually loves them as much as you do)! Oh my gosh, these look like the perfect way to use up the unwanted, taste-less peanut butter in my pantry! My boyfriend will hopefully give me some of his whey protein for them if I share 😉 thanks for the recipe, Amanda. Ashfk, I think you’ve out-done yourself just a tad here: recipe AND pictures! I need these in my tum ASAP. So these are going to be all over Healthy Aperture , Foodgawker, etc right? Fingers crossed! If not then I guess I’ll just need to keep working on my food photography. Hahahaha like your photography could be improved on! Silly. Those look so yummy. Darn it, I don’t have all the ingredients! I’ll have to put this on my list for next week. Ahh I’m at work and these bars are making me so hungry!! I’m about the smooth and dense texture! Your photography never fails to amaze! Have a great Monday. GET in my BELLY! I must try these a.s.a.p., they look too yum for words!! These would be great for hiking. Scratch that. These would be good ANYTIME. Once the weather gets cooler, I’m going to make these. Fall is the best time for baking/making stuff. Oh happy Monday indeed! These sound wonderful and easy! omg, what an easy recipe, no baking yay! These look so tasty, I am pinning this recipe when I get home! I just made some no-bake cookies very similar to this, but I can’t tell you how excited I am by this recipe. I’m going to make them right now because they will be the perfect snack to take to class with me. I don’t have the patience to bake things, so if it takes more than 30 minutes to make, chances are I won’t be using that recipe 🙂 Thanks for the recipe! Hehe! The only time I really get hit by the baking itch is when the weather turns nasty – then there’s no place I’d rather be than a warm kitchen. I hear ya! This is the perfect recipe to make when you’re busy too! Since the prep time is so minimal! Ummm these look amazing!! Pinning and saving for later!! omg i want these now. like, i wish they were waiting for me when i walk through my door. they look like the perfect texture and basically the perfect flavor combination. im bookmarking this. hope you’re having a great monday! Yum. Those look amazing – great photographs! These sound perfect. Especially since I have a giant tub of protein powder that never gets used haha! But almond fudge bars? Okay sounds like a plan! Yum. YUM. Pinning this right now. uh…soft, dense, AND fudgey?? Even though I’ve been sick and only had an appetite for toast the past few days, I could really go for one of these. YUM! Oh my goodness I want to jump through the computer screen right now to eat these. I need to get some rice krispies and then I am so making these! 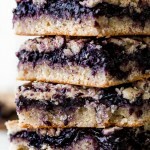 Thank goodness there are bloggers like you that make awesome homemade bars like these. I will definitely be making them soon! OH MY GOSH I need to make these. Pinned. I’ve been looking for a protein bar recipe that uses simple ingredients like this!! Do they hold together alright? They do! I keep mine in a sealed container in the fridge, but I didn’t run into any problems even after toting some around to snack on while I was out all day. Expect photographic evidence next week after I make it. No joke. Quest bars..Quest who? 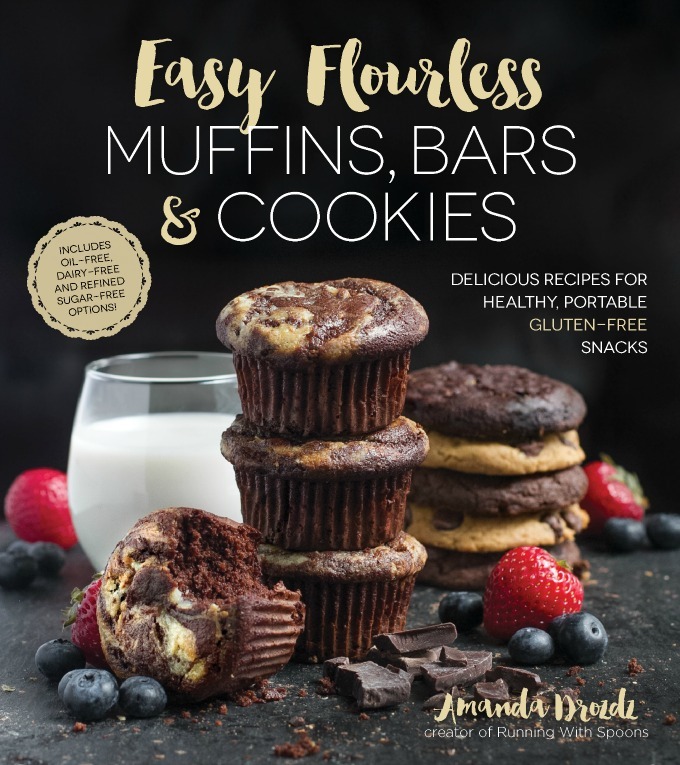 Glad to be back to reading your blog on a regular basis Amanda, it’s looking beautiful as always and of course you are always posting new ideas/recipes here! This particular recipe is one I plan to make soon…. though with peanut butter as I have been on a major pb kick for quite some time now! 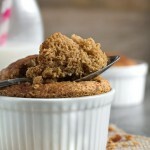 I feel like there is a hidden theme going on the blog world for today- lots of delicious dessert recipes! Must be to make us all feel better it’s Monday? Either way, yours look phenomenal! these look delicious! i’ve been meaning to keep some snacks that actually have nutrition and/or protein, when i get the munchies in the afternoon. i’ll have to add these to my list. You could probably get away with it if you were willing to put in some extra arm work… It just makes the AB way easier to work with. Oh these look delicious! I need to run off and find some rice crispies! Please promise me when the time comes that we meet you will bring these bad, drool worthy babies along? broken pieces, crumbs, whatever it may be I REFUSE to let ANY go to waste… even if that means licking the plate cleaner than my dog could. Corners are the best! I love baking and nibbling. These look killer- can’t wait to try. I like a soft chewier texture similar to lara bars. But on the flip I also enjoy crunchy bars like kashi’s crunch almond butter bars. 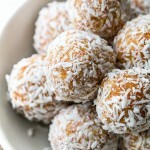 I’m making these on the weekend, love anything nut butter and they’re perfect for taking to school! Aaaaah! Can you make some of these for me? Pretty please? Holy YUM! These look like a better version of the scotcheroos my family used to make at home. Now I need them asap! These look delicious. I’ve been thinking about them every since you posted them on Instagram. Swoon! When I saw your IG post teaser the other day, I knew I had to stop by and check out this recipe. However, I’m kicking myself for waiting so long, because I could totally go for one (or 10) of these bars right now! Hrmmm…you *did* say they only take 10 minutes, though, so I could probably whip up a batch before bed, right? Seriously considering it. They look absolutely incredible. These look quite good and I might try them when I stop being so lazy. I like my bars dense and these look like they are. The problem with light and crispy bars is that you inhale them in a minute and are left unsatisfied. Denser one do the job without the need for seconds. Ummmmmmmmmmmmmm….yes please. This looks amazing! Thanks for the heads up, Nadine! I’ll keep an eye out for those ones. I don’t, sorry. I know it can be triggering for a lot of people, so I try to avoid it. You can plug the ingredients into a site like SparkPeople to get the breakdown, though! This recipe looks fantastic. I am tired of spending oodles on money on storebought bars. It would be nice to know how much protein one bar contains…Need a chemist or something. I followed the recipie, but added cocoa powder. In rhe end, the mixture came off totally dry. Then i had to add water, honey, abd almond paste to come up with a more pasty outcome. They came out fine. Wonder whether it was because of the cocoa powder. Yup! The cocoa powder is definitely to blame. It’s delicious stuff, but it’s like adding more flour so you have to balance it out by adding more liquid. Glad they still turned out! I just tried to make these and they turned out horribly lumpy 🙁 Granted, I am nowhere near a domestic goddess but as soon as I added the peanut butter/honey mixture it clumped with the dry mixture and cooled off right away making it impossible to stir. I’m very sad as I was incredibly excited to make these. Perhaps more of the wet mixture would help. Oh no! I’m sorry to hear that! I’ve never run into that problem, but adding an extra spoonful of honey or nut butter would definitely help. I hope you’ll give them another try! I also thought these looked very familiar to Oh She Glow’s protein bars but I see your recipes uses quick oats! I did this by accident with her version last weekend and they actually turned out 10 times better. The last a little longer out of the freezer and have a better texture 🙂 I’ll have to try your version next time! Any idea of nutrional information & serving size? Sorry Lisa, I don’t calculate the nutritional information for my recipes. Looks yummy! Really tempting me to taste. I will try this..
Hey I just made this, but i’m not sure where to put in the vanilla extract, so i just kind of threw it in after the almond butter and honey were poured in the dry mixture. They’re about to go in the fridge so i’m hoping they’ll be delicious! Looks great! Do you have nutritional info for these please? Sorry! I don’t calculate the nutritional info for my recipes. I tried these about 4 weeks ago and I now make them every week, I keep them in the fridge cut and ready to go. The last batch I doubled and made in a 13″× 9″ pan. If you haven’t tried these yet…..what are you waiting for! SO GOOD! Thanks for the awesome recipe, can’t wait to try it. I do have a question for you. 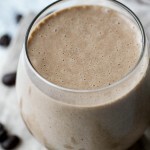 I use dairy free protein powder (San Raw Fusion), would I use the same amount in the recipe? I’d hate to play the add a little bit of this, little bit of that guessing game to fix it. Thanks so much! I haven’t tried it myself with this recipe, but I’ve substituted protein powders in the past with no problem so I’m assuming you could use the same amount in these bars as well 🙂 If they end up too dry, you could always just add a splash of almond milk to the batter and it should be fine. They were too dry…they fell apart the second I touched them. Will try it again and add almond milk. How do u cut them so straight and clean? I just made sure to pack them into the pan really tightly and refrigerate them until they were firm — they stayed together without a problem. How many calories per serving in these? If memory serves, around 135 without the chocolate topping. Can the protein powder be substituted for anything? I understand this’ll reduce the amount of protein, but there is nowhere I can buy whey or protein cheaply in my area. You could probably just sub it with more oat flour, although you may have to add a little bit more honey (1-2 Tbsp.) to adjust the sweetness and help the bars hold together better. Oh. My. Gosh. These are AMAZING! I just made them and had insane difficulty in not eating the entire pan. I made a few adjustments due to not having some of the ingredients and it still turned out great! Thank you so much for posting this! I’m never going back to chalky store-bought protein bars! These look awesome! I’m going to try this recipe for sure. BTW, can you provide the Nutrition Info on these? I looked on this page but couldn’t find it. It’s long so I might have missed it. Thanks! Hi Twilla. If memory serves me, they each have around 135 calories, 6g protein, 4g fat, and 19g carbs — based on 12 servings without the chocolate topping. Hi Mallie! I use Proteins+ by Genuine Health. Your protein bars look yummy, and I need something to help me drop off some of my extra weight, & these sound like a great snack compared to what I normally eat. I have a question though. My store doesn’t sell oat flour, but you said to use regular oats in a blender to make your own flour. My store sells quick oats, and then oats, but they don’t call them regular oats. The outside of the container has a picture that pretty much looks the same as the quick oats. Do you know if there’s a difference? Hi Greg! Quick oats are just processed a little more to help them to cook faster, but since you’ll be grinding them into a flour it doesn’t make much of a difference. The only difference you’ll notice is when you’re cooking them on the stove — oats tend to have a thicker and chewier texture than quick oats. I’ll give them a try this weekend & let you know how they turn out. These look delicious on your website however when I went to make them tonight they are not at all like your picture! They are very crumbly – should I have added more peanut butter to make them stick better? Thanks for any tips . . .
Hi Abbie. Try increasing the nut butter to 1/2 cup and make sure you press down really firmly when you’re packing the mix into the pan. It may have just been the consistency of the ingredients, since that of nut butter and honey can vary a lot. Try increasing the PB to 1/2 cup and make sure that you really pack the mix tight before you put it in the fridge. That should help! Do these need to be refrigerated? I was thinking of making them for a long trip, but won’t have access to a ‘fridge. They shouldn’t need to be, nope! But I wouldn’t keep them for longer than 1.5 – 2 weeks. 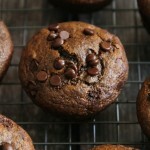 Would these work if I just used more oat flour instead of adding quick oats? I just grinded up the last of my oats…but I really want to make these! They look great. Yup! They’d be perfectly fine that way too. The texture might be a little different, but barely enough to notice. They look amazing.. Going to make them soon, just wondering how much protein is in each bar!??! I made these twice and followed the recipe exactly. The first time, they were too crumbly. The second time, I added peanut butter, but they were still crumbly. What am I doing wrong? They are still yummy! Hi Leez! The only thing I can really think of is that you might not be packing them in to the pan firmly enough? Or that your AB/honey might have a different consistency than mine. Try adding a few more Tbsp. of honey, or decreasing the amount of oat flour by a few spoons. Thanks for sharing! These are so delicious! Great recipe! Do you know the protein value in one serving? If memory serves, I believe it was around 6g. WOW! I’m getting ready for a three-day conference out of town and was looking for some healthy snacks to make and take. I came across this recipe via Greatist and whipped up a batch. As fabulous as they are easy, and I had all of the ingredients in the pantry. Phenomenal. Count me as your newest fan! Around 135 without the chocolate topping. What are the macros? Calories, fat, proteint, and carbs??? 135 calories, 6g protein, 4g fat, and 19g carbs — based on 12 servings without the chocolate topping. Just wondering if these need to be refrigerated. If so can they stay out, in my daughter’s locker for a few days? Thank you for your reply and your delicious recipes. Is this 1 cup of oat flour or 1 cup of oats that are then processed into a flour? 1 cup of oats that are processed into a flour. Sorry about that! I need to go back and make it clearer. This recipe was great but I had to add more liquid to get the dry ingredients to hold together. I drizzled in some almond milk to get the consistency I needed. Great flavor though! I tried these today and had a little problem with dryness. Once I added more AB and honey it was easier to work with. The taste is the best thing about them! Can you tell me how many grams of protein are in the bars once made? Each bar has 6g of protein. I love love love this recipe! I linked to it on my blog. You rock! Help! I just made these but they were really dry. I actually couldn’t use all the oat flour and had to add another tbsp peanut butter. The flavour is amazing but they’re too dry. I’m using natural peanut butter and it’s crunchy will that make a difference? Thank you for the wonderful recipe, Amanda! Totally in love and I’m going to explore more of your creations. Like the previous poster (Tiff), I also found the mixture a bit dry, perhaps because I used crunchy peanut butter and added cocoa powder directly with the flour. So I added half a mashed banana and the dough got dough-y just fine 🙂 Cut into heavenly squares which will definitely not last too long in my fridge! I also found the dough very dry, so much that I wasn’t able to combine it by hand. I threw it all back into the food processor to mix, which did the trick. And then you definitely have to push it down hard in the pan. I pushed both sides at once, because if you only push in one spot it climbs up the other side. Worked out great and no problems cutting into bars. I was also excited by this but found it too dry and crumbly 🙁 I hoped sitting overnight in the pan would have helped but in cutting them up they started falling apart. Recipe needs some tweaking but is a good start. Update: for the second batch, I pureed 1.5 very ripe bananas and added them at the end. Remarkable transformation! Held them together structurally and made them significantly more delicious (if a little sticky). I found this recipe looking for DIY bars just because store bought are too expensive. I normally don’t eat breakfast, because it takes me too long in the morning. These are perfect and a fraction of the cost of Cliffs bars. But many of the additions above that solved their problems also sound great just for taste which I’m going to try! I made these and couldn’t find out what to add to make them stick together more. They didn’t quite come together. I added more pb, and some nutella (which made them overly sweet), but I finally just shaped them into balls. Is there anything less fatty that could help them come together? OHMYGOSH, can I say how much I LOVE these???? When I learned about how much processed junk is in the store bought “protein bars”, I searched high and low for the perfect recipe for protein bars and this is it!!!! I can to remake them a couple times (trial and error) but I’ve gotten the hang of them that I bake them every weekend. I use vanilla whey instead but it still came out perfect! And I MAY have covered the whole pan with chocolate 😉 These are perfect for a quick snack or a sweet treat!! This look really delicious. I really want to try and make it although I am not very good with my hands. Thanks for sharing. How do I calculate or do you have the calories/protein/sugars per serving? Made these according to directions….and were too crumbly to use or eat. Very dry tasting as well ……was hoping to take them on a trip…..too bad. Not necessarily. They’re a little bit firmer when kept in the fridge, but they’re fine at room temperature as well. It just depends on what kind of texture you like. I tried your recipe today. My almond-honey mixture looked darker though. 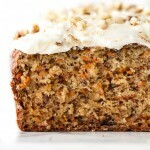 I love the recipe it is so delicious and so healthy. Do you think the heating is necessary? I would like to use raw almond butter next time and avoid heating to keep more vitamins. It’s not absolutely necessary, it just makes things a little bit easier to mix. If your nut butter and honey is easy enough to work with without heating, then you can definitely skip that step! These are gonna be my new jam. They turned out way better than I expected. Extremely yummy and protein packed. Just enough crunch! Wondered f you know the approximate nutritional properties of these bars? Hi Stephanie! If memory serves me, they each have around 135 calories, 6g protein, 4g fat, and 19g carbs — based on 12 servings without the chocolate topping. Any idea on a general price range for a batch of these protein bars? I know it is tough to guesstimate due to buying a lot of these ingredients in bulk. These look amazing! I assume I can essentially substitute the oat flour with almond flour? Or do the oats do/give something almond flour won’t in terms of texture or flavour? You should be able to sub out the oat flour with almond flour no problem, Aina! I made these to feed a 13 year old girl who is 118 lbs. and 6’0″. Her coaches want her to eat lots, and these bars were devoured in 1 sitting! Everyone in the house loved them, making another pan as I type this. I doubled the recipe & pressed it into an 8×8 pan. These were so delicious! I made them with Almond Flour instead of oats ground into a flour. Did use the 1/2 cup oats as well. Would love a calorie count. I am going camping for a few days and won’t have a refrigerator. Do you think these will stay at room temperature for a few days or fall apart because they aren’t refrigerated? Very, very thankful for this delicious recipe. Just made a batch and they are awesome! Just one question, how and for how long can I keep them best? I’ve kept mine in the fridge for up to 2 weeks without any problems. However, I would be remiss if I didn’t mention a couple of things, number one, not including the nutritional information is a disservice to your readers. Second, I went through and put this recipe in to a recipe calculator, the results were appalling. If you are going to market something as a “Protein bar” then you should have AT LEAST 15 grams of protein per serving. To show you what I mean, I have compared your recipe here to a very common and healthy protein bar the Quest bar, which is by all benchmarks, awesome, so, here we go. I will start by listing your recipe first, I divided it up to have a serving size similar to a quest bar, about 170 calories for the chocolate chip peanut butter. So, pretty level on most metrics, however, your protein level is severely lacking. I would recommend changing you somewhat misleading title. Hi, could you convert the recipe from cups to grams for me please? I have looked at loads of different online converters and they all come up with different amounts! Do these have to be kept refrigerated?